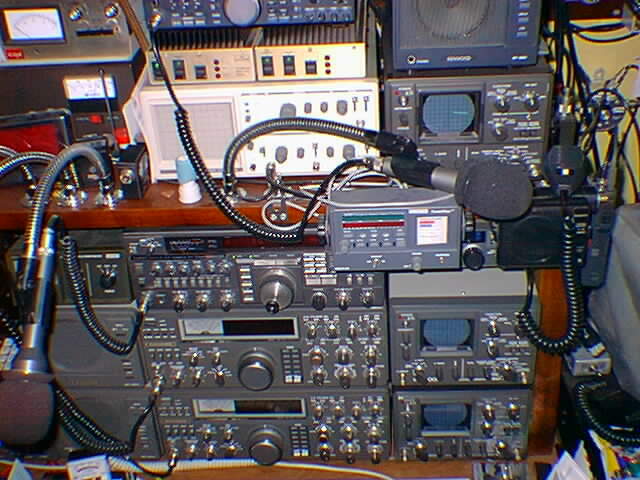 Before I get to the actual radio equipment the concept of my station needs to be explained. First, although I operate many modes on many bands, my main focus is on working DX on 160 through 6 meters. Oh yes, I do ragchew now and then, but mostly when I ihave the time to put a few hours in on AM and of course on the local repeater. So not being rooted in one band or mode, but rather interested in all bands and propagation modes, I have built a station that allows me to monitor more than one band at a time using multiple radios and antennas. This includes multiple antennas for the same band as well using multiple radios. 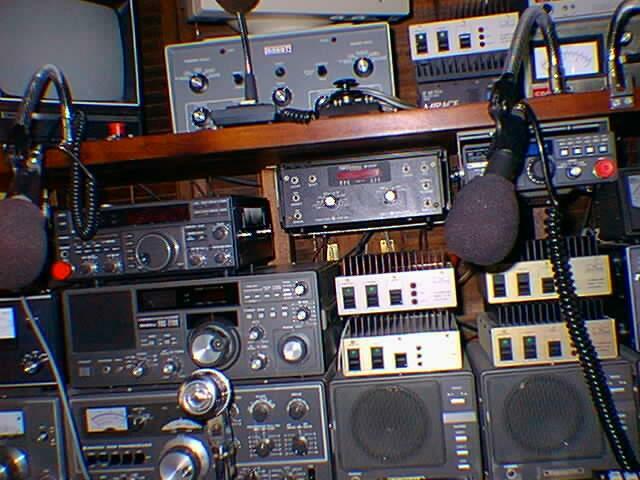 My station is a far cry from being a BIG GUN DX station or Contest station. 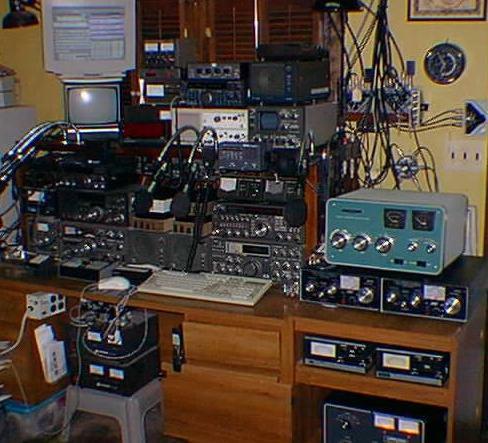 It is not my goal to build a multi-op contest station either, (can plan and dream though) at least not yet. However it does duplicate a number of station capabilities at present and will even more so in the future. I do plan to get into serious contesting over the next few years however. My station as pictured below has grown in small increments over the years and has been arranaged in what I consider to be an orderly and functional manner for my goals. It is a right handed station and is very unkind to left handed users, as most stations are. All equipments and controls are grouped together as best as possible. I am always looking to improve the functionallity of my station and keeping photos updated on the website to show such will always be a challenge. 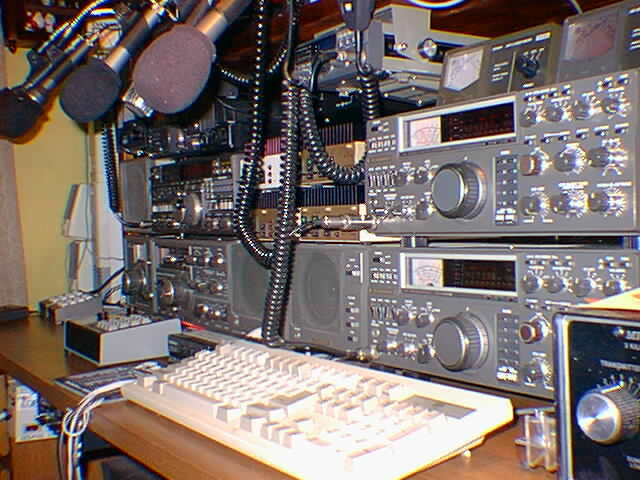 Since I want my equipments grouped for my operating goals and functionallity and taking into consideration that it is a right handed station, my main operating position is on the far right, with the antenna switches (all manual at present, a mix of older B&W and newer Alpha Delta) are to the right of the main operating position both mounted on the side legs of the 2nd level of the desk top and on the wall. For me the station must be uncluttered on the deskop. My hands must be free, so for my normal DXing/Contesting (phone) I use radio matching desk microphones mounted on goose necks and foot switches to key the radios. I also use the Heil-Pro headset heavily during most phone DX contest operating. For CW I can get by using the Bencher up to about 35 WPM but I heavily rely on my canned messages programmed into the AEA MM-3 (I have a 2nd MM-3 unit just in case) keyer, the MM-3 is the best Contest Keyer made to date in my humble opinion. As to output power, I believe in using QRO only when needed. During contests and in big pileups it is often needed. It is also needed when band conditions are extremely noisy. I have come to believe that for DX on 160 meters it is basically always needed. However I have not have an amplifier in the station capable of 160 meters until recently so I have had to make due barefoot and my country count on 160 shows it. I now have an AL-811 for 600w out and I am looking to modify my Collins 204F to get lower into the band as well as adding 160m to my SB-220. I believe in fully monitoring my transmitted signals to make sure they are clean, the TS-930's have a monitor mode when head phones are used. 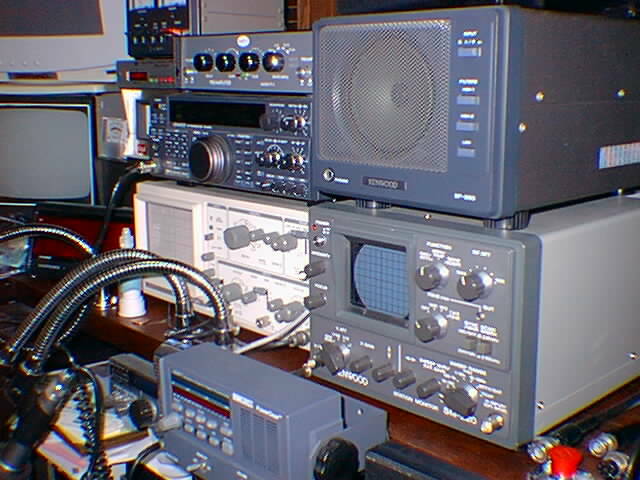 In addition I monitor my RF power output on both external pep reading watt meters and my transmitted waveforms on Kenwood SM-220 series station montior and general purpose 20Mhz scopes. In addition on use these scopes for testing and multimode operations, including RTTY waveforms X-Y on receive. The SM-220 station monitor or other make or a general purpose scope allows for an accurate visual of the quality of your transmitted signal, be it CW, SSB, AM, RTTY or whatever. With a general purpose oscilloscope, a 1000:1 probe properly calibrated,when you measure peak voltage across a 50-ohm termination a reading of 400v peak equates 1600w pep if you are attemping to measure maximum power on a scope, see the graphic below. In addition the SM-220 provides a number of features for specific transmitter testing what with a built in two-tone generator and the capabitiy of trapozoid transmitter and amplifier display. It is much better to set up your amplifier with a two-tone gernerator for max output and not exceed that point on the scope. The station at my QTH consists of what I refer to as a classis mix of old and older with a little new thrown in for good measure. 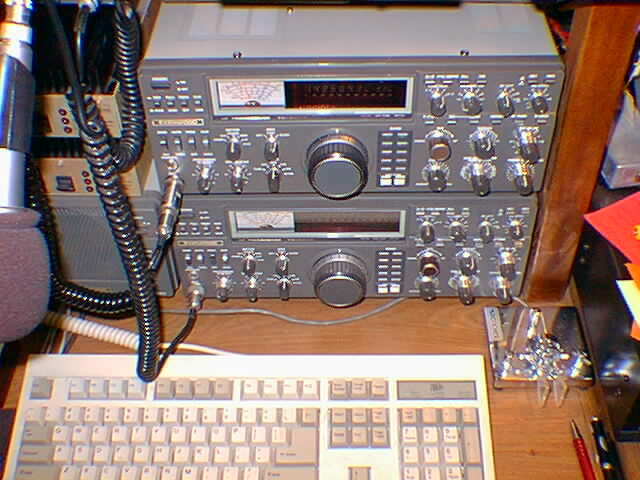 My main HF station is a pair of Kenwood TS-930S radios, one is tied to a Heathkit SB220 and the other is for the Collins 204F-1. 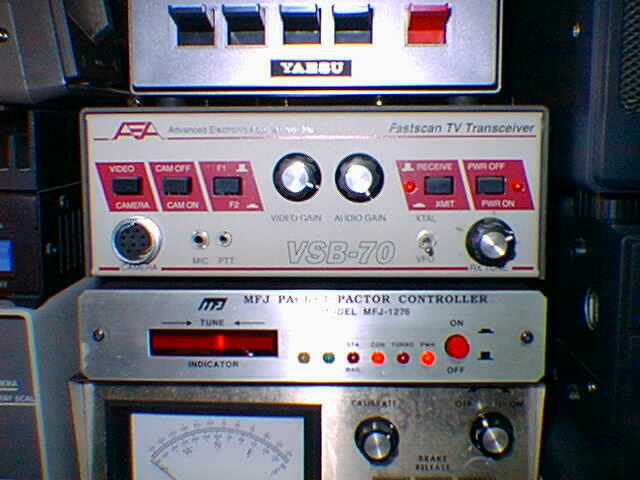 The antenna tuners currently in use are MFJ-989C units, I have one of these with the TS-930/SB-220 station and another is used with the TS-450/AL-811 station. The TS-450/AT is currently my main 160m station for QRO and gets the bulk of fast QSY type DX chasing use with the packet cluster and just plain old VFO spinning as it and the FT-890/AT have those wonderful internal antenna tuners. One of the TS-930S is an AT model but it's intenal tuner although works, is not as good as the newer units and is used little. The TS-930/204F-1 station will utilize Dentron MT-3000A antenna tuners, however, mostly resonant antennae will be used. The TS-450S and FT-890AT (with DVS-2) are integrated into the station for fast DX-Cluster search and pounch in conjunction with computer control using DX4WIN, CT and my very own CATCC software. The FT-890A has an antenna tuner that covers down to 160 meters while the TS-450S/AT internal tuner only gets down to 80 meters. 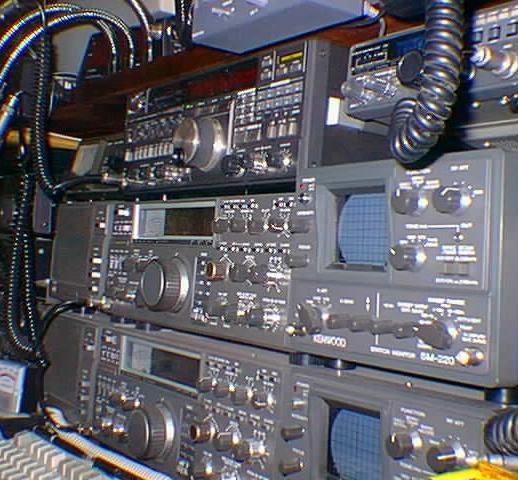 The TS-930S do NOT move around very much, I load up the amps tend to leave them on what ever band and use the CAT interface rigs for direct frequency entery QSY. 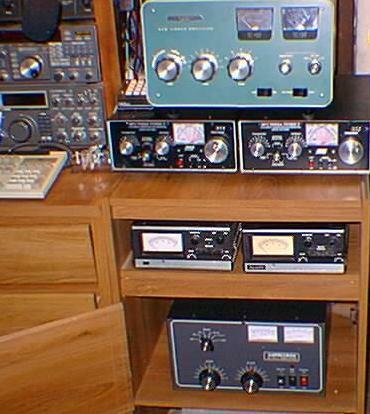 I have three outboard audio DSP filters in the shack, a JPS NIR-10 and SGC Power Clear that float to any radio I want. 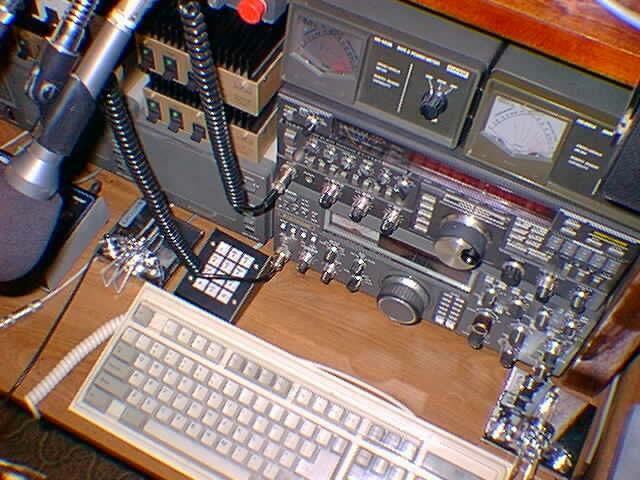 I also have a Radio Shack portable unit that is used mostly with my FT-817 go-any-where QRP rig. 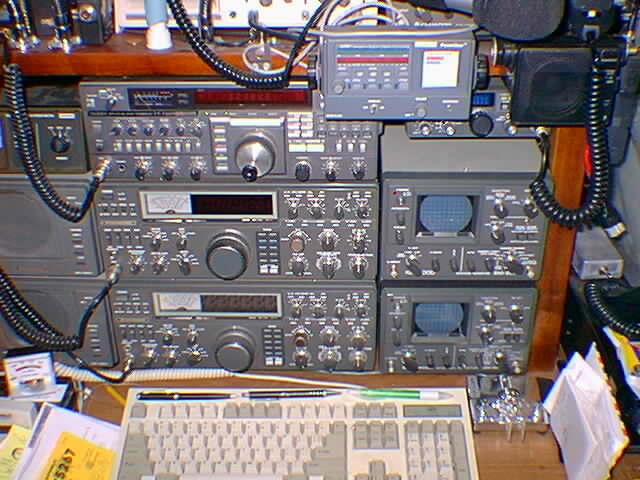 The TS-890/AT is my main digital station these days using the sound card in the PC for psk31/RTTY/SSTV. I still have the older PK232MBX and KAM if so desired. I run the audio out into both the PC and an old Info-Tech M200F in parallel. This allows me to get output to an oscillascope as well as get RTTY copy that the sound card just can't during RTTY contest conditions. The interface in the station between the FT-890 and the sound card is via a Rig Blaster. 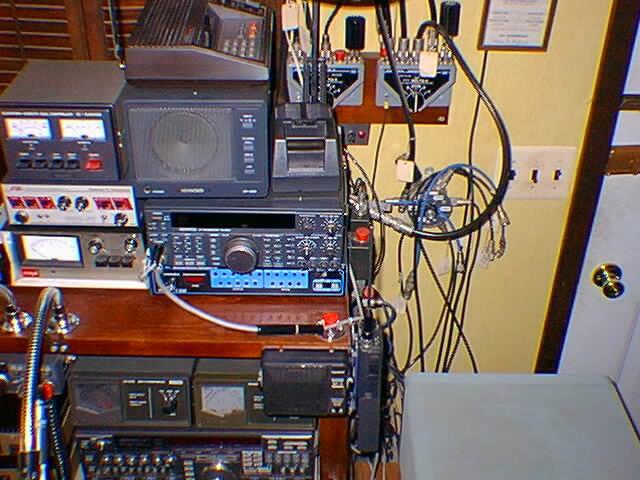 The VHF/UHF equipment, an FT-736R is now stacked above my TS-520SE HF station, I usually have it on except during an HF contest. The VHF/UHF amplifiers, a quad of TE-Systems bricks, one for 6m, 2m, 220 and 432. 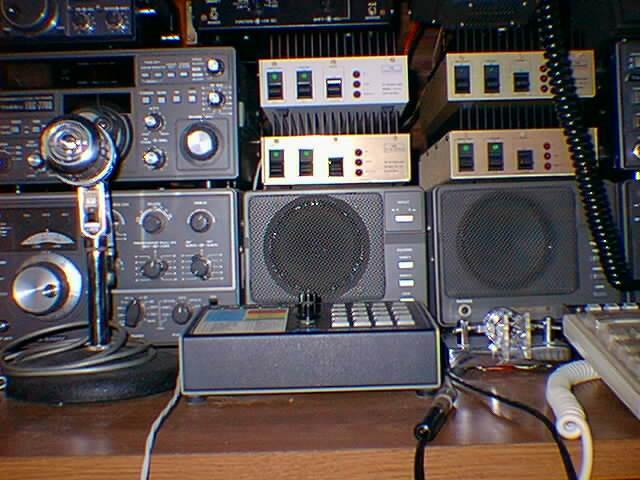 I also have an old SB-200 that I an planning to convert to a pair of 4CX250B tubes for 6 meters to drive with the FT-736R. On the other hand, I may just mod the 572B circuit onto to 6m and use if with my FT-847 I run mobile during contests weekends. The first real, full featured HF radio that I bought after beginning my HF life with a little Ten-Tec PM-3A QRP rig and later an older Heathkit HW-16 as a Novice was a then brand new Kenwood TS-520SE that I bought when I made it to Technician. It was my dream radio in comparison. I started with the rig and matching speaker, then added a Fox Tango 250Hz CW filter, outboard MFJ (later Daiwa) electronic keyer and Bencher paddle and lastly the remote VFO. I keep this complete TS-520SE/VFO-520/SP-520 station intact and working for that nostolgic feeling that some times overcomes me. It still works great on CW with Fox Tango filter (still rings a bit) against the new crowded band conditions and is not bad on phone when conditions are contest like. 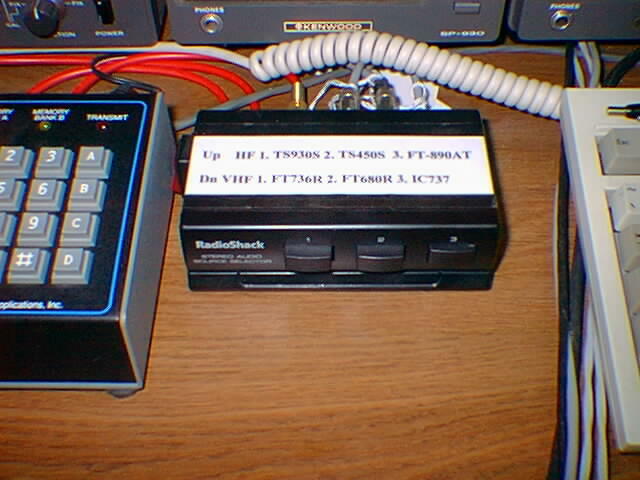 Tied into the TS520 or for use independant of it is an FGR-7700 gerneal coverage receiver. I set these up for use years ago when in NAVY MARS for split frequency operation, although I have the TS520 VFO-520 the MARS splits were greater than the external VFO could handle. 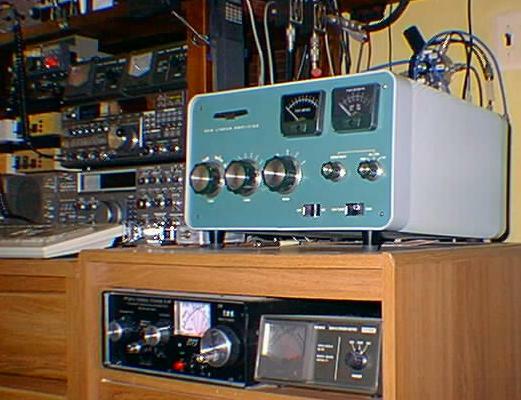 I later upgraded in 1984 to the TS-930S, now there was and for me still is my dream radio. 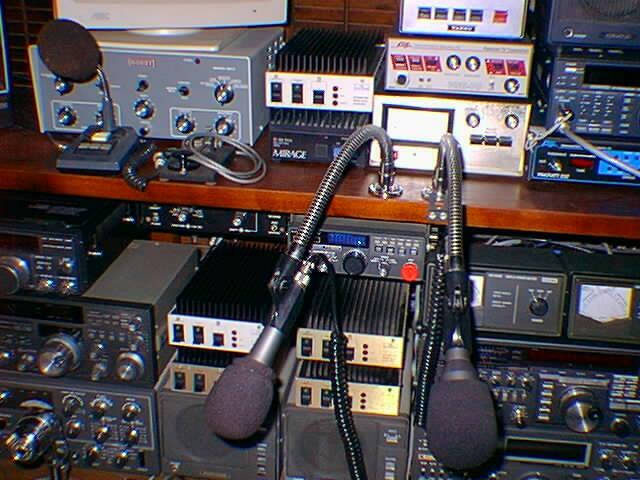 For VHF/UHF operations I use an FT-736R on 6m, 2m, 220 and 70cm using a TE-Systems amplifier for each band. For all my CW operation I now use the same bencher paddle and AEA MM-3 keyer using a modified switching matrix to select the particular radio of interest. The TS-520SE station is grid block keying, so I simple have it plugged into that jack and switch off the + keying jack when I use that old classic on CW, which I do very rarely, I kind of like using the TS-520 for straight key night. For ATV I use an AEA ATV430 with Mirage ATV100 10/100 watt amplifier into an AEA/M2 16 element 12 foot boom yagi at 35 feet. I am not currently active on ATV as the activity in the local area took a nose dive a few years ago after a terrible experience in getting an ATV repeater system operational. The repeater is up, but the activity is down. This equipment has now been taken out fo the station and mothballed.